The Cowboy Trail is another, more lyrical name for Hwy. 22, which runs south through incredibly scenic ranching country in the Rocky Mountain Foothills. Outside of the mountain national parks (such as Banff), it’s one of my favourite drives and almost always yields many memorable compositions. 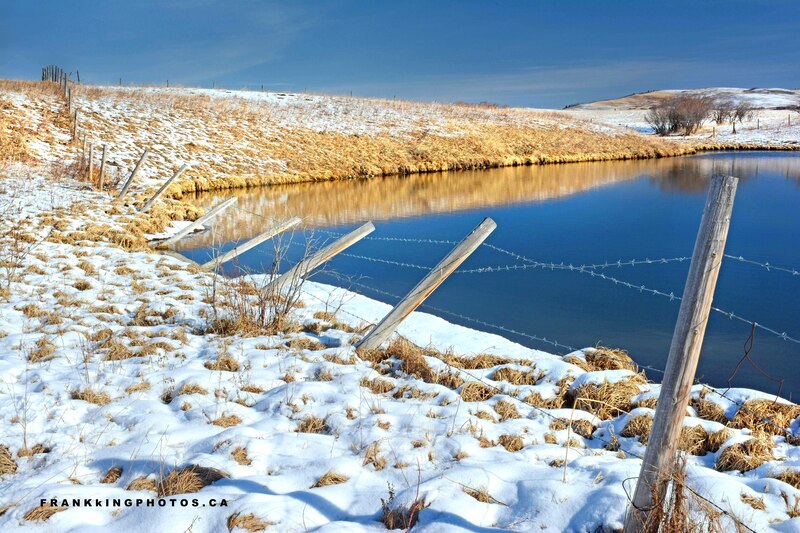 In this case, I waded through snow to capture the drowning fence. When the sloughs are no longer ice-covered, you know spring is not far away. I like your composition and colors in this image. The leaning fence makes it interesting! Definitely worth the wade. I’ve had to make myself do the same thing even though that’s what I brought gaiters for!